Star Wars expert Pablo Hidalgo and company appeared on a recent episode of The Star Wars Show, mentioned late last week. 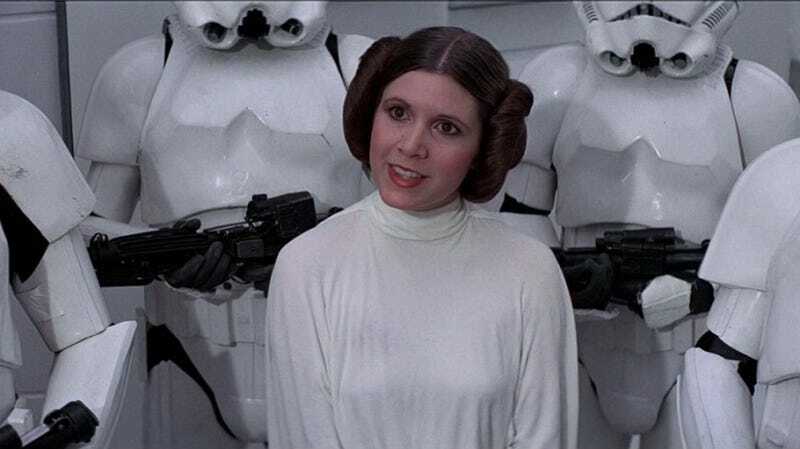 They were asked why Leia’s consular ship, Tantive IV, appeared at the end of the film, directly connecting Rogue One to Star Wars IV: A New Hope. Turns out, it’s because she and Admiral Raddus got sidetracked during their already scheduled trip to Tatooine to pick up Obi-Wan Kenobi. Hidalgo said Raddus was accompanying Leia because she was the “public face of the cause,” and they needed to keep her safe so she could continue getting them supplies. The ship’s inclusion itself was explained in the Rogue One novelization; Tantive IV remained on Raddus’ warship, as opposed to staying on Yavin or flying solo, because it was undergoing some repairs. That could be why it was unable to outrun the Star Destroyer—other than the fact that it’s, you know, a Star Destroyer. Another little interesting tidbit shared was that Leia was actually on Yavin the whole time the Tatooine trip and Jyn Erso’s rebellion were being planned. Hidaldo said they kept Leia’s presence a secret because the movie wanted to “save the reveal,” but Leland Chee added that they added R2D2 and C3PO’s cameos as a clue.